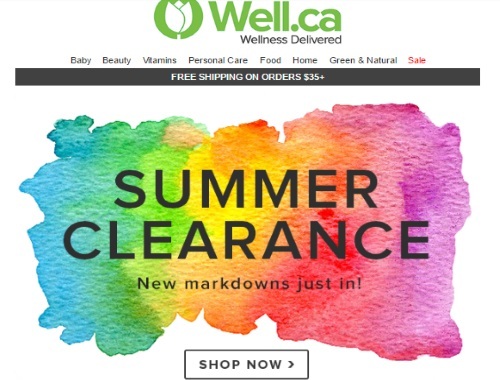 Well.ca has a Summer Clearance on now and new markdowns were just added! Plus take $10 off when you spend $100 or more with the promo code SUMMERSAVE (Coupon is valid until June 25 at 11:59pm ET only). or if you are making a smaller order get $10 off any $40 order with the promo code SAVE10JUNE (new customers only).